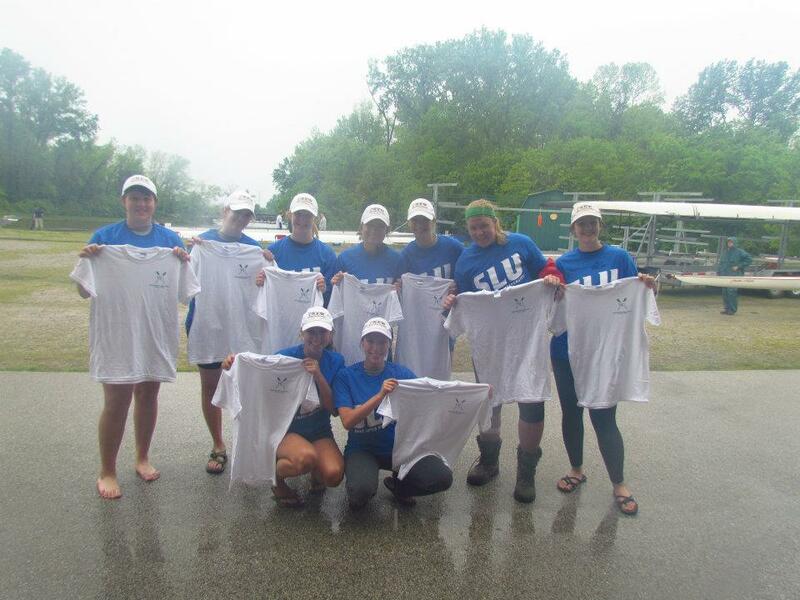 The Woman's Novice 8+ took first place during last week's Wash U Spring Regatta. Held on beautiful Creve Coeur Lake, site of the 1904 Olympic Rowing Events, our Racer Rowers faced off against teams from University of Illinois at Urbana-Champaign, University of Iowa, University of Missouri, Washington University in St. Louis, Wheaton College, and Xavier University. This is the first win of the spring season for a Murray State 8. The alumni offer their congratulations to athletes and coaches for this win. Follow the Racer Rowing Society for additional race results, stories and pictures, from the 2012 season.